To have world-class manufacturing facilities, Apcotex has been practicing TPM since 2006 and was awarded the prestigious “TPM Excellence Award, Category A” by the Japan Institute of Plant Maintenance (JIPM), Japan in March 2012. The objective is to achieve zero defects, zero accidents & zero breakdowns. Apcotex has also received the “TPM Consistency Award” in 2014. Apcotex has a dedicated and competent team with over 400 full time employees, who offer outstanding products and excellent services. Development of human resources at all levels is being done on a continual basis through internal and external practical training sessions and workshops that focus on skill enhancement, creativity, individual development and teamwork. 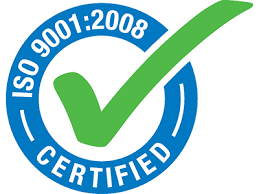 Apcotex’s commitment to a high standard quality management system and dedication to its vision and mission is evident from the Accreditation Certificate from TUV. To have best-in-class safety and environmentally friendly practices, Apcotex has been certified for ISO 14001:2004 (Environmental Management Systems) and OHSAS 18001:2007 (Occupational Health & Safety Management Systems) in 2011. Our persistent efforts to take Apcotex to the next level in its commitment for excellence in environment, health and safety were subsequently awarded with the RC logo in 2014.